CIPE Home Exchanges and Programs Topics 【Report】Student Delegation of Sakura Science High School Program visits UEC. 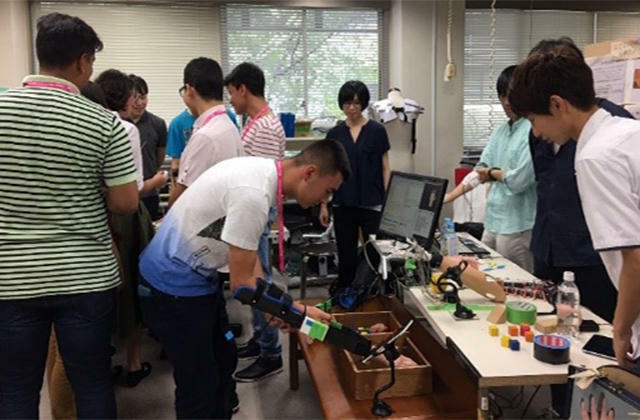 【Report】Student Delegation of Sakura Science High School Program visits UEC. A delegation of 44 high school students from China, Laos and Colombia along with 8 supervisors and 6 others visited UEC on 24 July, 2018, under the “SAKURA Science High School Program”. SAKURA Science High School Program is one of the projects called “Japan-Asia Youth Exchange Program in Science” (SAKURA Exchange Program in Science) organized by JST (Japan Science and Technology Agency) which invites youths from mainly Asia and some other regions on a short-term visit for the purpose of being exposed to cutting-edge science and technology, history and culture in Japan, and deepening cultural exchanges with Japanese high school and university students. 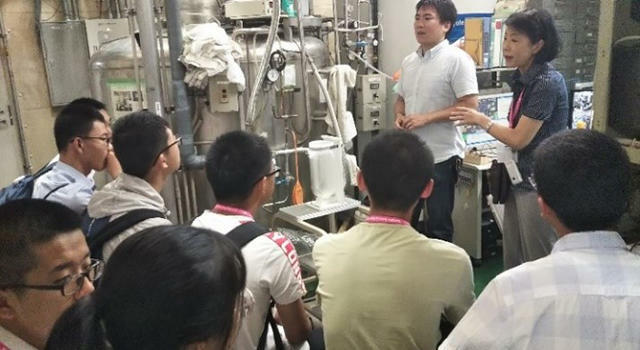 After the welcome greeting and an introductory presentation about UEC by Associate Professor Choo Cheow Keong, Center for International Program and Exchange (CIPE), they visited Cryogenics Center, UEC Communication Museum, Prof. Yokoi Laboratory and Robomech Factory.